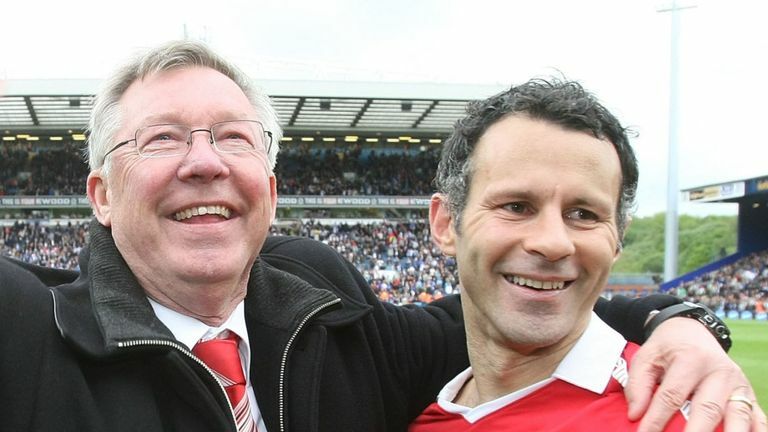 Ryan Giggs hopes Wales develop a European Championship habit of scoring in the 'Fergie time' that he became accustomed to as a Manchester United player. Ben Woodburn's injury-time winner against Trinidad & Tobago on Wednesday was the second time in three games that Wales have scored in the 89th minute or beyond. United specialised in late goals during Sir Alex Ferguson's 26 years at Old Trafford, and Giggs hopes he can emulate his former manager as Wales prepare to start their European Qualifiers against Slovakia on Sunday. Asked if scoring in what has generally become known as 'Fergie time' is a good sign, Wales boss Giggs said: "Yes, I've said that, as long as you've got a clean sheet. "OK, it didn't come of anything against Denmark but we scored late on - and now we have done it again. That's a nice habit to have and that's what I said to the players. "Once you have that trait it doesn't leave you. You know it, and the opposition know it as well, that you are a team that can score late." Arsenal midfielder Ramsey sat out the Trinidad & Tobago win as Giggs rested the majority of his first-team. "We've got a few bumps and bruises but then we have Friday and Saturday to prepare for the game," Giggs said. "Aaron's injury is coming along nicely, we just have to monitor that. Everyone else is good. "Ashley (Williams) and Paul Dummett needed a game, especially Ashley because he's been in and out (at Stoke).